Earlier this year, Madonna (the pop star) – ever the one to attempt to scandalise her work – included some images of her (pretending) to breast feed in the video clip for her song Give Me All Your Love, which has since been edited out of some versions! Now, I’m an old-school fan of Madonna (what girl of my generation isn’t?) but really, she’s a pretty shadowy impersonation of the original! 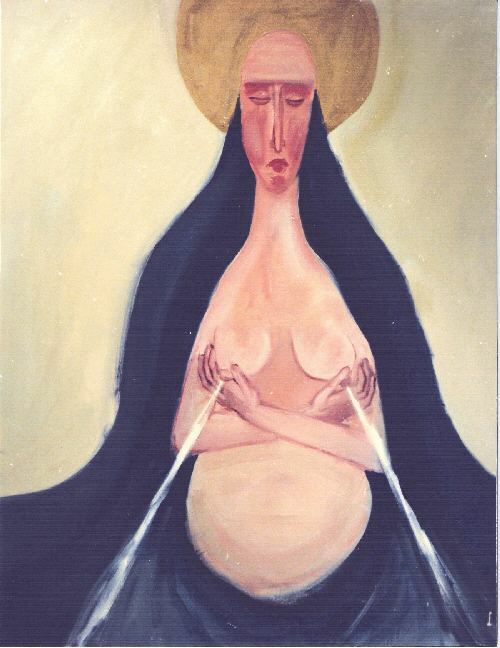 Cath McKinney (see reddresstheology post 11th October 2012) has introduced me to a whole tradition of iconography which has been lost in contemporary western consciousness: it is the image of Mary breastfeeding Jesus. 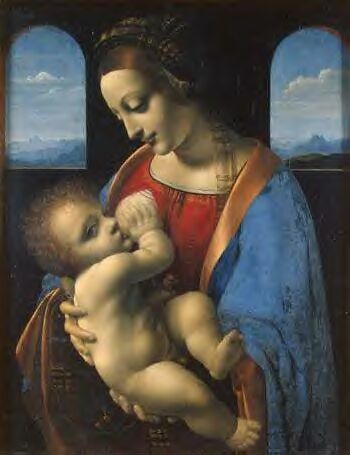 I am 42 years old; been a Christian for 28 years; breastfed 2 of my own children; but I have never before encountered images of the Mother of Jesus breastfeeding. It seems the prudish religion of the Modern era has had no stomach for nakedness of any kind. Apparently, the vatican have decided to promote mara lactans iconography post vatican II because it is well suited to their gender politics. 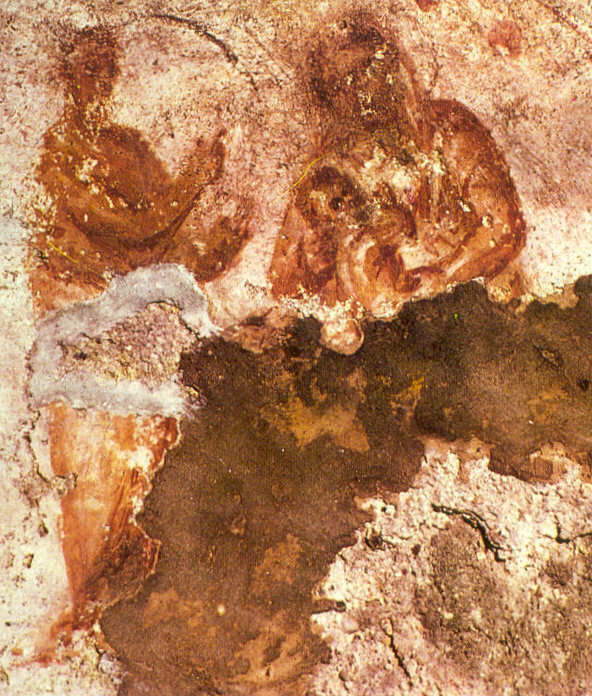 The breastfeeding Madonna also has an ancient tradition in the Orthodox churches, known as Galaktotophousa, celebrated each year on the 3rd July. 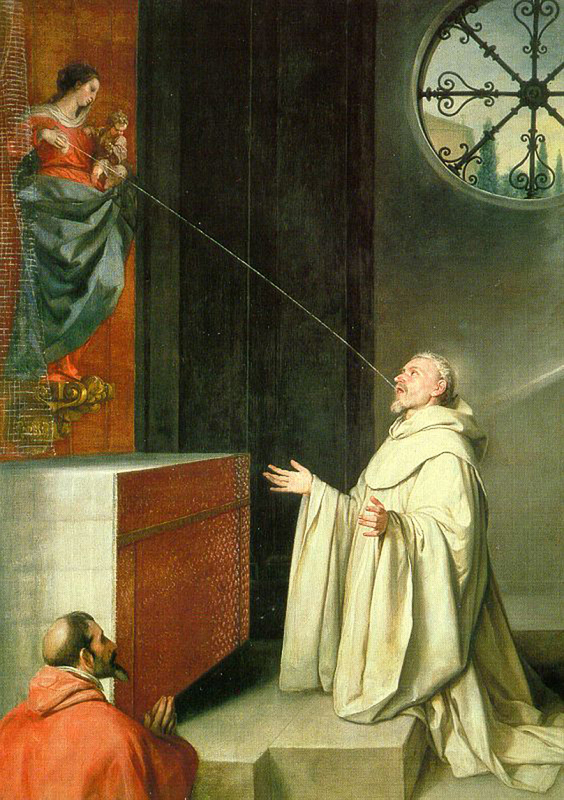 In this tradition, the breast of the Mother of God is often positioned in a deliberately de-sexualising position and Jesus’ hand in a posture of blessing. The purpose of an icon is to draw us into an experience of the divine by telling us a story about God. I wonder, what kind of God is present in this relationship between mother and child? What do you see? What do you feel? What do you know about God that is represented here? And what does that say about your relationship with God today? Here is a blog explaining the Galaktotrophousa from an Orthodox perspective: http://iconreader.wordpress.com. Oh, and if you really need to see it, here’s a link to Madonna’s video. It certainly makes a point!